That’s the question on many people’s minds, especially when they’re faced with the sometimes conflicting opinions about the value of ecological products and the eco lifestyle. The truth is that the benefits of choosing to go ecological are many, and they are compelling enough to overthrow those who think eco foods and products are not worth the buzz. First off, going ecological is a matter of health. We can all agree on the fact that the less harmful substances we introduce into our bodies, the better. With the number of chemical pesticides, artificial fertilizers and additives that are commonly used in conventional farming practices, non-organic foods, and the products derived from them, are just full of these harmful chemicals that end up making a home of our bodies. By choosing an eco product instead, you can rest assured that what you’re consuming has been mindfully obtained from the soil all the way to your hands. Even during the refinement process, organic foods –and organic products in general- are spared the negative influence of pesticides, artificial fertilizers, other additives, and radiation. If we expect our body to live up to its full potential, then we must be smart about what we bring into it. There’s also an important concentration of hormones, antibiotics and other drugs in conventional non-organic products, especially meats and dairy. Huge quantities of antibiotics are added as regular practice to animal feed, as well as wide variety of hormones to increase productivity values with cattle and farmed fish. Most of those hormones cannot be broken down and pass directly into the consumer where the effects are unpredictable and undesirable, including early onset of puberty, tumor growth, and a higher risk for cancer. Now, who needs that in their system? 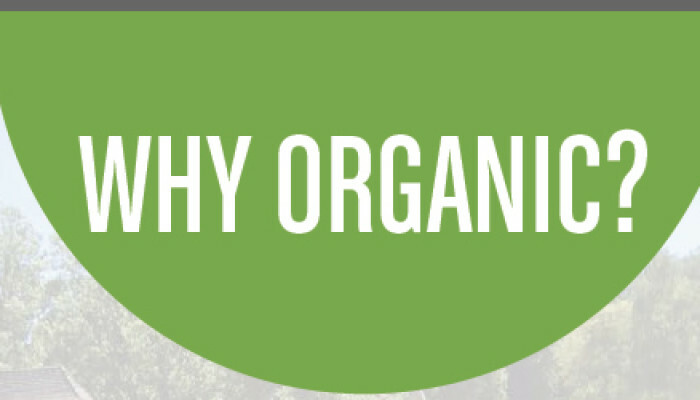 Organic foods have the added advantage of carrying a higher nutritional value. All these pesticides and fertilizers added during the making of a non-organic product can hinder the natural assimilation of nutrients once the food is ingested or the product comes in contact with our body. By eliminating the unnecessary chemicals, it leaves the path open for all those healthy nutrients to go where they need to go. Hence the greater antioxidant properties of organic foods and products, for example. A high and effective presence of antioxidants is crucial for cell regeneration, skin rejuvenation, cardiac health, and mental agility. Also, a review in The Journal of Alternative and Complementary Medicine confirms that there a considerably more nutrients in organic foods compared to conventionally obtained products, including higher concentrations of vitamins, minerals, and enzymes. Aside from avoiding the harmful influence of added chemicals, with organic foods you also stay clear of genetically modified organisms (GMO). Though in the future there could certainly be a lot of potential in the use of GMOs, their influence on the human body and any long term effects on health are yet to be fully studied and understood. Until they are, it is best to be cautious. After all, health is not something to gamble with. Opting for eco products is also a matter of survival. We are all connected as part of an ecosystem in which every element plays an important role. If one of those elements can no longer do what it is supposed to do, like if the air, water or soil become too contaminated from all the pesticides and intensive farming, then the chain is broken and we, as part of the system, are affected too. We have a responsibility to care for the resources we have so that future generations get a chance to enjoy them as well. Eco farming even makes an effort to preserve agricultural diversity and keep crop species from disappearing, which is often a by-product of conventional farming practices. As it turns out, ecological is the better choice not only for us, but for the Earth as well. There’s no doubt that the benefits of choosing ecological far outweigh the cost, both in the immediate scenario of everyday life and in the long term preservation of the planet we call home. And if you need one more, well, we even say tastes better!